Industrial IoT Solutions from Kepware Seamlessly Integrate with Microsoft Azure with the Help of OPC UA and MQTT Protocols. PTC today announced that its Kepware® industrial connectivity software now integrates with Microsoft Azure. Utilizing open-source, standards-based communications, Kepware’s KEPServerEX® software moves data between industrial controls devices and the Azure cloud platform – allowing organizations to more effectively connect, monitor, and manage Internet of Things (IoT) assets across complex industrial environments. “A major hurdle in widespread Industrial IoT adoption is interoperability. With more than 20 billion devices expected to come online in the next five years, and a subsequent flood of complex industrial data, interoperability will become increasingly important,” said Erik Dellinger, strategic industrial partner manager, Kepware. Acting as the hub for machine communication is Kepware’s IoT Gateway, an advanced plug-in capable of pushing information collected by KEPServerEX into big data and analytic software applications. Kepware and Microsoft’s industrial IoT solutions seamlessly integrate with the help of OPC UA. KEPServerEX can move industrial control data to the Azure cloud platform by utilizing both OPC UA and MQTT via the Azure IoT Gateway SDK and Azure IoT Hub. In addition to integration with the Azure cloud platform, KEPServerEX supports Windows 10 in order to connect industrial data with business processes and analytics. 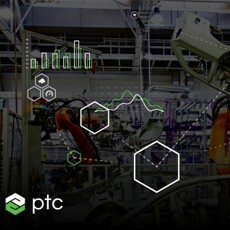 KEPServerEX also provides industrial connectivity to a wide range of other client applications, including the ThingWorx® Industrial IoT platform from PTC.